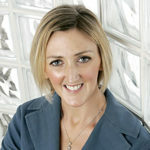 Joan is an experienced CEO and senior manager with breadth of experience across a range of industry sectors. Former CEO for the Irish Internet Association, Joan has extensive experience in working with industry members in addressing the challenges and seizing the opportunities facing scaling and innovating businesses. With this deep knowledge of industry, Joan will lead the strategic development of IC4 as we build on the successes of the past four years and forge new relationships with our industry and academic research partners.